hennemusic hennemusic: Aerosmith: Dream On to become official rock song of Massachusetts? Aerosmith: Dream On to become official rock song of Massachusetts? Aerosmith’s “Dream On” is in the running to become the official rock song of the state of Massachusetts, according to CBS Boston. The station reports there are now two competing bills on Beacon Hill that would designate the state’s official rock song. Democratic representatives Josh Cutler of Duxbury and James Cantwell of Marshfield have filed legislation that would make Aerosmith’s 1973 classic, “Dream On,” the official state song. This comes up as supporters of Jonathan Richman and The Modern Lovers’ push for a song called “Roadrunner” to get the nod. 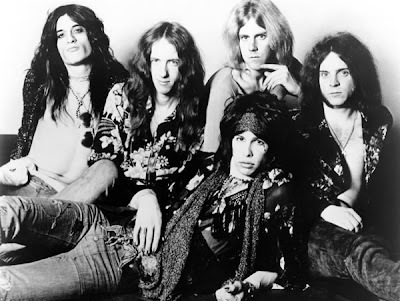 Aerosmith first released “Dream On” as a single in June 1973; the song peaked at number 59 nationally but hit big in the band's native Boston, where it was the number 1 single of the year on the less commercial top 40 station, WBZ-FM, number 5 for the year on highly rated Top 40 WRKO-AM and number 16 on heritage Top 40 WMEX-AM. Thee album version of "Dream On" (as opposed to the 1973 single edit) was re-issued early in 1976, eventually reaching #6 on the Billboard Hot 100, becoming Aerosmith’s first major hit.